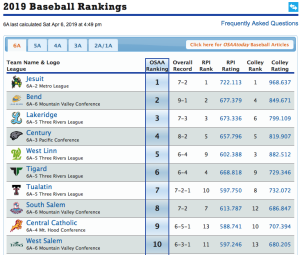 The Lava Bears 9-1 and second to only Jesuit in the Class 6A baseball power rankings. 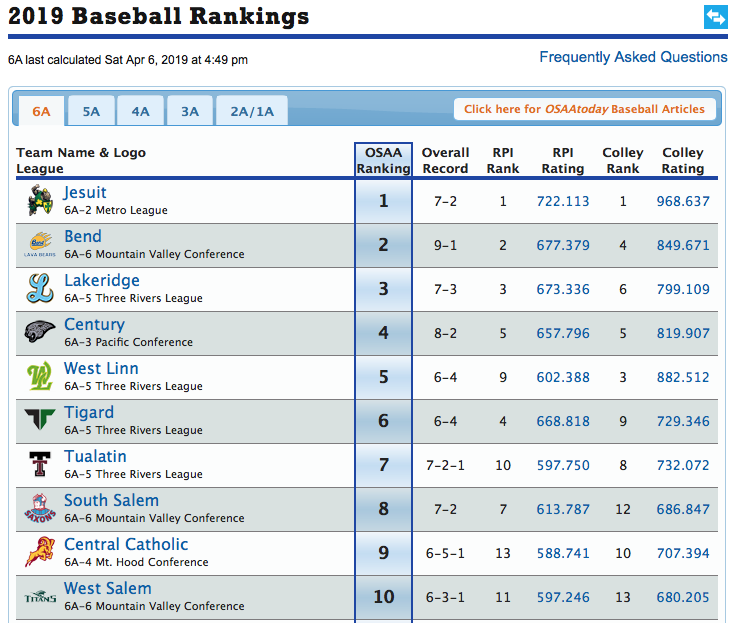 Last year Bend reached the state semifinals of Class 5A baseball. The reigning 6A-state champions are Westview of the Metro League. Bend has won seven games in a row and outscored their opponents 86-31 on the season. This entry was posted in Baseball, Bend, OSAA and tagged baseball, bend, lava bear. Bookmark the permalink.